Long-debated rules were supposed to go into effect to require your financial advisor to act in your best interests when advising you on your 401(k) and individual retirement account. However, the current administration has delayed the rules’ implementation, and their future is uncertain. Meanwhile, however, every investor should know what certain changes could mean. A particular area for changes is your relationship with your financial advisor when you roll over your 401(k) savings. 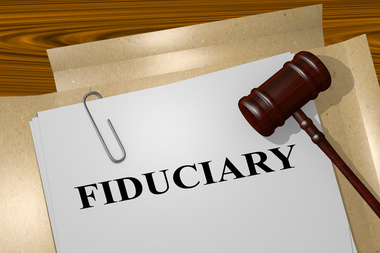 Financial professionals may be elevated to the level of fiduciary, which is a higher level of accountability than is often currently in effect. Until now, the suitability standard had been required, meaning that as long as an investment recommendation met a client’s need and objective, it was considered appropriate. But the fiduciary rule obligates financial professionals to put their clients’ best interests first, rather than simply finding suitable investments. A big consequence could be the elimination of many commission structures that govern the industry. Should advisors wish to continue working on commissions, they need to provide you with a disclosure agreement called a “best interest contract” that lets you know that the advisor is receiving a higher commission or special bonus for selling a certain product. Compensation paid to the fiduciary must be clearly spelled out. The best interest contract allows your advisor to continue receiving these payments, but ensures that they aren’t steering you to a particular mutual fund or annuity just because they get paid more for it. Some firms already have been tweaking their compensation models in anticipation of the requirement. A few broker-dealers noted that they would standardize advisors’ commissions on mutual funds and variable annuities. There is some discussion in the industry regarding possible additional costs for the investor if a firm wants to move a client to a fee-based account as opposed to a transactional cost from commissions. Be prepared to compare costs and services. Ask how your advisor gets paid for services — whether you are paying a fee or you will be charged on assets under management. Ask advisors if they adhere to a fiduciary standard. Find out whether your advisor receives a commission for the sale of mutual funds, insurance and annuities. Ask where your advisor keeps your assets. Don’t let them take your money and move it to their account. Be sure to match the statements you get from your custodian (typically a big financial firm like TD Ameritrade, Charles Schwab or Fidelity) to the statements your independent, fee-only advisor provides you. These custodians actually hold funds, even though your advisor is not an employee of these firms. What are their qualifications? There’s an alphabet soup of designations for financial advisors, so keep an eye out for the best-known credentials: certified financial planner, chartered financial analyst and certified public accountant. These designations require study and practical experience. We’ll keep in touch about legal and regulatory changes.